As a direct result of the success of Global Recycling Day 2018, the Global Recycling Foundation was born in October 2018. The Foundation, formed by the Bureau of International Recycling but run as an independent organization, will promote and support the global recycling industry in its mission to showcase the crucial role of recycling in preserving our planet’s future. 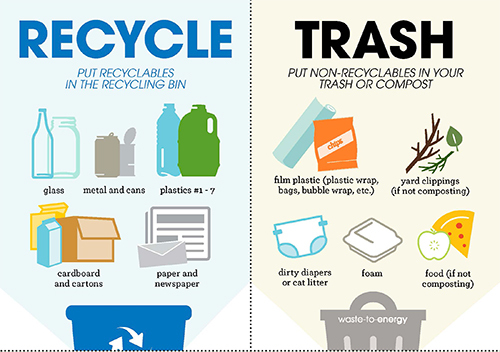 The theme for this year is ‘Recycling into the Future’, with a focus on innovation and youth, building a global perspective for recycling – increasing awareness of the urgent steps the world needs to take if we are to recycle more effectively and to the benefit of the planet. 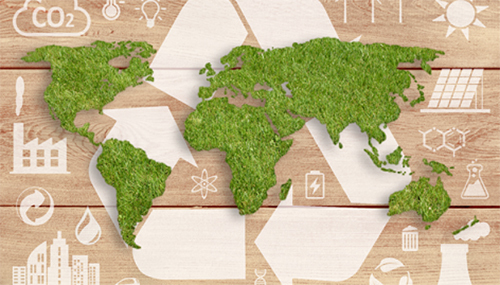 Innovation is vital if we are to improve recycling practices and processes into the future, and we want to celebrate and recognize the work that many business and brands are doing across the world to protect the future of our planet. 3. Carry reusable fabric shopping bags. When hitting the grocery or farmer’s market, bring reusable bags with you to avoid plastic bags when checking out. Focus on unpackaged items like fresh fruits and vegetables, and skip the plastic produce bags in favor of bringing along your own cloth or net bags. Also, certain items like bananas, oranges or anything with a hard rind or skin truly don’t even need to be put in a bag. 4. Try buying wholesale and putting dried products such as rice, pasta and lentils into glass jars to avoid buying products wrapped in plastic. 5. Recycle old plastic children’s toys. Search for a toy library in your area to borrow from or donate to. And consider charity shops when looking for gifts. 6. Carry a reusable coffee cup or flask; 7m plastic-lined coffee cups are thrown away in the UK every day. 7. Buy rechargeable batteries! And never throw them away. Batteries should not be tossed right into your trash or recycling and instead should be properly disposed of at waste collection centers or local businesses like Advanced Auto Parts. 8. Ditch cling film wrap for your food. It cannot be recycled in most UK collections. Foil is recyclable, so use foil instead or reusable plastic boxes. 9. Use an electric razor instead of plastic disposable one. In the US, 2 billion non-recyclable razors are tossed each year. An easy solution to this is switching to an all-metal safety razor with recyclable blades. Not only do you still get a close, clean shave, the cost for refill blades is a fraction of what you’d pay for plastic razor refills. 10. Learn to let your fridge go empty. Have you ever lost track of a piece of fruit or a vegetable in the back of your jam-packed produce drawer and only discovered it a few weeks later due to the rancid rotting smell? Losing track of the perishable food in our refrigerator is a big contributor to our individual food waste.